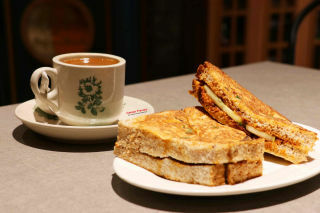 A tried and tested family recipe, fresh, carefully selected produce and quality service: these are the ingredients to Mr. Fish FishHead Noodles' success. Inspired by her mother's traditional Teochew village fish head recipe, Maggie, the founder of Mr. Fish FishHead Noodles and her husband decided to share their love for the dish by recreating it for the rest of the world to savour and enjoy. Mr. 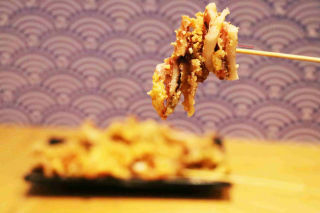 Fish FishHead Noodles' core promise to their customers is healthy food with no added MSG. To ensure quality and freshness, all fish and seafood are directly obtained from family or home-based suppliers, sourced and vetted through by Maggie herself. The fresh fish is prepared and cut in outlets for optimum freshness. Available in 5 major soup varieties (Milky, Clear, Seaweed, Curry Laksa and TomYum), all dishes are served with a variety of ingredients (Norway Salmon Fish Head, Grouper Fillet, Grouper Fish Head, Fish Balls, Fish Paste, etc) and an option of thick or thin noodles. We kicked off our meal with the signature Premium Udang Galah & Grouper Fillet Milky Soup Meehoon, served in a massive bowl with large portions of prawn and fillet. 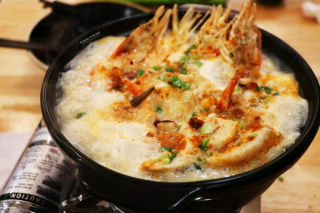 The soup was flavourful and fragrant, with distinct fried onions that brought out the overall sweetness of the seafood. Those craving a lighter bowl will enjoy the Homemade Fish Paste Clear Soup Meehoon, featuring fresh fish paste made with 100% fish in a piping hot broth that's bound to stir your appetite. For salmon lovers, dig into the indulgent Norway salmon fish head! We tried the Curry Laksa variety which had a strong, milky santan taste which went magnificently with the salmon. If you fancy Teochew porridge, we'd highly recommend the Seafood Mix, which comes with fillet, prawn, fish maw and fish head. One taste of this dish felt like a warm hug on a rainy day. All dishes are best eaten with their homemade recipe chilli. Mr. 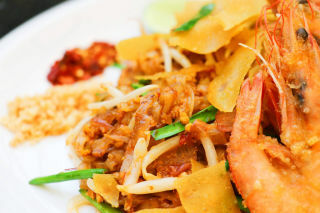 Fish FishHead Noodles also serves add-ons and side dishes to complement the main dish for a truly satiating meal. Customers can also opt out on shaoxing wine, fried garlic, ginger, spring onion or salted vegetables simply by informing the staff. Pop by to their outlet at OB2.G.U2 (G Floor, outside Parkson) to try it for yourself! Here's your chance to get a taste of Mr. Fish FishHead Noodles! We are giving out 5 x RM50 vouchers! We will pick the winner out of 125 contestants via lucky draw.